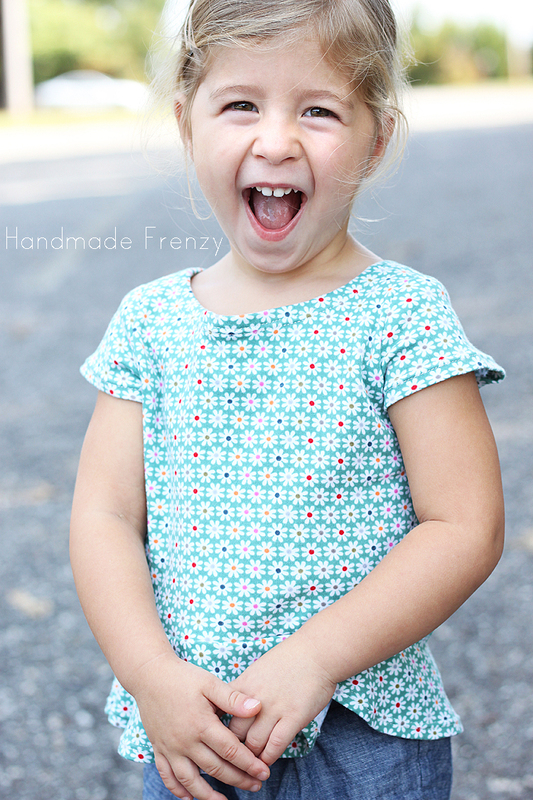 I had the lovely privilege of testing the latest pattern from Sew Much Ado recently. And like each and every one of her patterns I've sewn, I'm absolutely impressed and in love with the outcome. The photos shown are from the first round of testing and the top pattern has since been lengthened slightly and it's absolute perfection now! 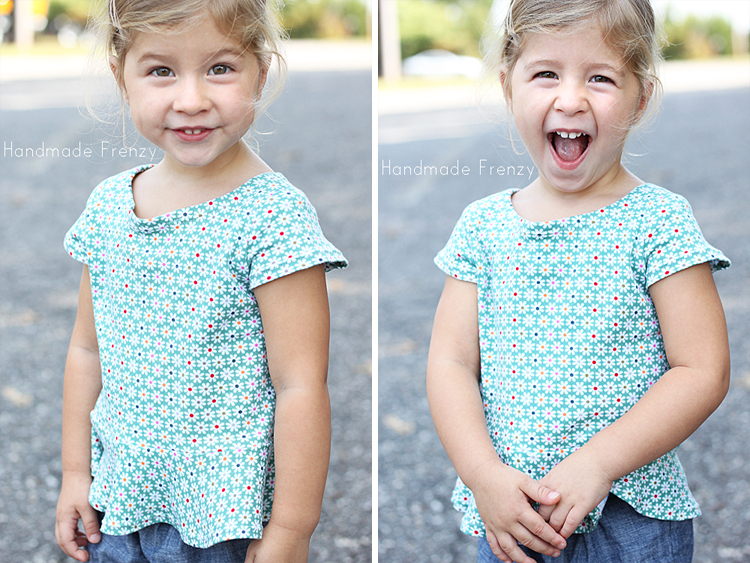 I can't wait to make her several more tops with the long and 3/4 sleeve length options and well as a few more short sleeved versions! Not to mention the dress. Oh my goodness. Cuteness overload!! 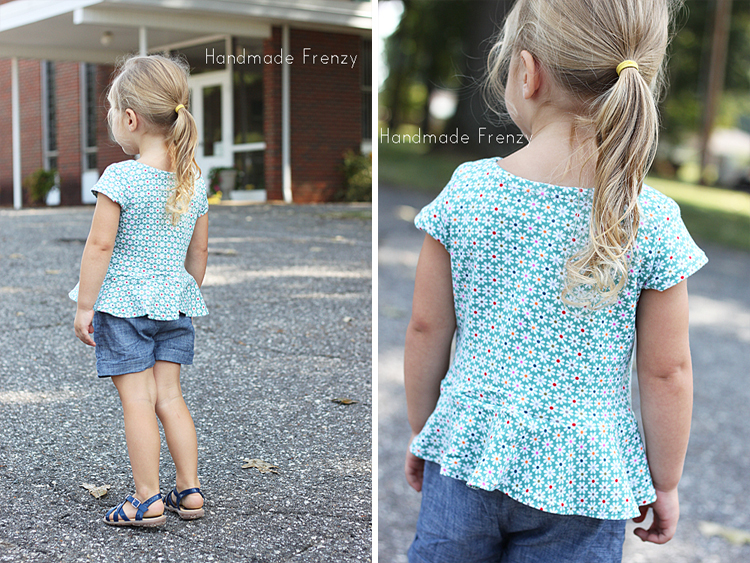 And just as I suspected while sewing with this adorable fabric (from Joann), it looks fabulous paired with her most worn Willow & Co pieces. 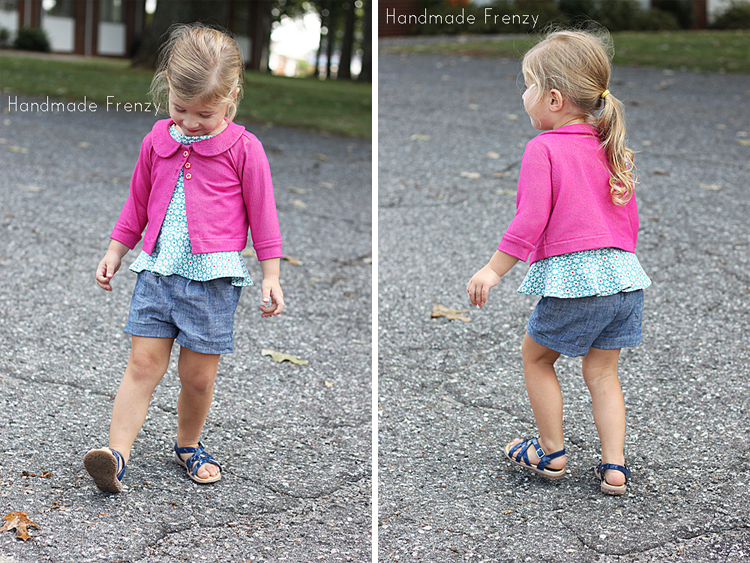 The Aster Cardigan and Clover Shorts. Summer to fall, we've got you covered!! That is darling! Love her outfit! It's beautiful Heidi!! And it is just so wonderful when it all matches perfectly with other makes, bravo!! 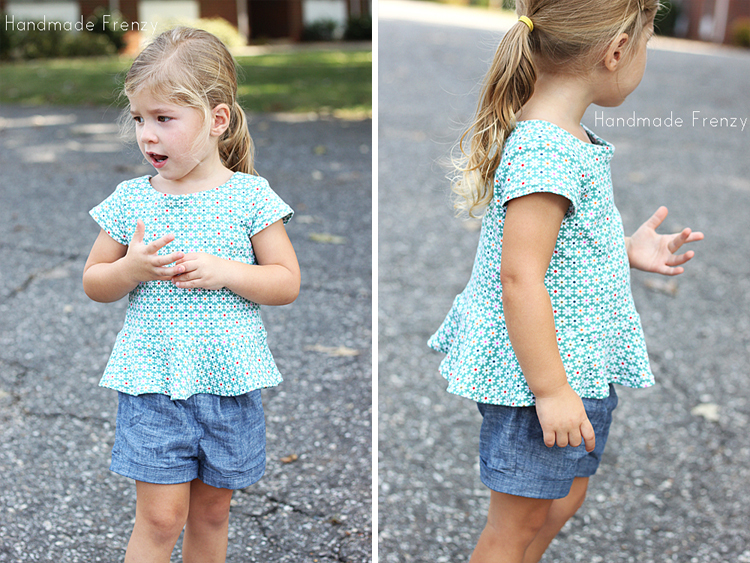 Gorgeous top, and it goes so well with her shorts and a cardi! Your daughter is so darn cute!!! I do love the top you made!! The material is sweet. So cute! I have to give this pattern a try! My kids will love it too! Oh my goodness! The cuteness is almost too much! What a darling sweetheart you have. The Julia Cardigan // Some Big News! !